Do you need high quality music and mixes for your cheerleading or dance team? Looking to slay a personal routine? Do you need to rock the runway for a fashion show or a beauty pageant? Look no further! We are your #1 source for championship quality music and mixes at the best value no matter the occasion! From epic productions to intimate competitions, we've got you covered! 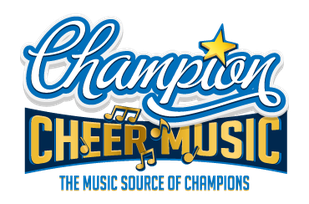 Hello, My name is Dondrell Freeman, Owner and Lead Producer here at Champion Cheer Music. I'm also a DJ / VJ, Music Producer, and Sound Engineer with over ten years experience. I am also a father whom has a daughter in competitive cheer. Needless to say, I have a love and passion for music and production and would love nothing more than to be a part of your next project, routine, or competition! We all know what it takes to execute a top notch performance for a routine or competition. The countless hours of practice, rehearsals, scheduling, preparation and even attire selection. That's why having the right music producer is imperative. When it comes to the music, let us give you peace of mind by providing YOU with our championship quality mixes! Allow us to help you focus on what's important to you...crushing that routine... along with the competition! My team and I not only truly enjoy what we do, but we take pride in making our clients happy! That's why each and every project is given the individual attention it needs to ensure that you have your perfect mix! And this is also why we offer a 100% Satisfaction Guarantee! If for any reason you are not completely satisfied with your custom mix, you will be given a full refund! So what are you waiting for? Contact us today to get your championship quality music or mix within seven business days of your order! Let's bring home that trophy!